These 3 foot tall punching bags are a blast to Bop! 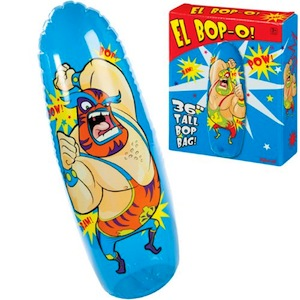 Measuring 36 inches tall, they have a sturdy sand-filled base, and are brightly colored with a fun wrestling motif. Two assorted designs.